Bass's Rapala Info pg 20! At Last! !Well, here it is. The 20th page added to this section of the "Cove" And the topic of this page couldn't have happened at a better moment. This is a little tale that seems to have lasted quite a few years.(3-4?) Let's take a look back. I was starting to focus on my Rapala collection and was trying to get as much printed material as I could. I was also just starting to get involved with a little (at the time) online auction site. I was getting a few rather odd looking Rapala lures. Some of them had black writing on them. 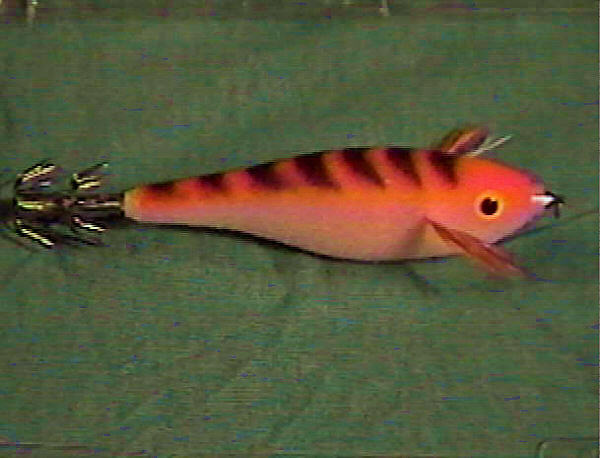 It must have been around this time that I first saw a rather strange looking Rapala lure (at least that's what they called it.) to me it looked like a combo of different parts, the lure itself was no-doubt a Rapala. The hooks, well there were the nastiest looking things I'd ever seen. A double-ring of barbs(at least 12) Well I tried to get that lure. It went a little over what I was willing to pay. 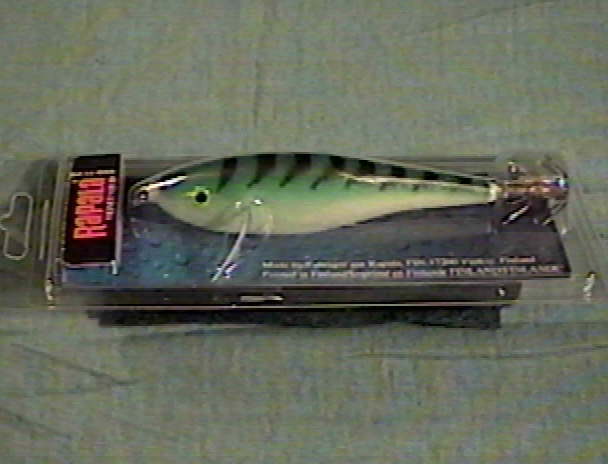 I did however manage to get and keep a copy of that first "Odd" Rapala, just for furture reference. As time passed and my rapala collection took a few turns. I was getting more and more printed material. I believe I had around 15 different yearly catalogs. I had seen a few lures in these catalogs that I was not familar with. Needless to say I started focusing on finding types of these 'forgotten' rapala's. 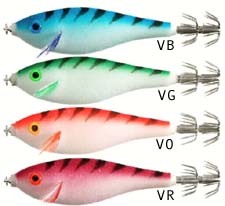 I spent what time I could searching the global connection (which I was getting more comfortable with) I was finding a lot of places that sold rapala lures. 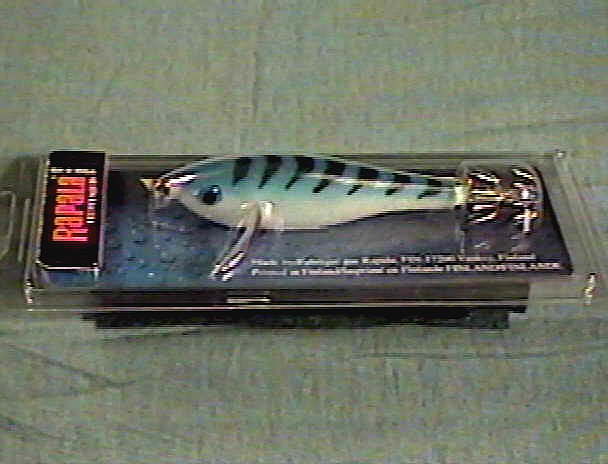 I wasn't able to find a lot of web-sites that delt with rapala in a collectable way. David and I finally got ever thing all settled and I was ready to finish this order when it got really cool. We decided in e-mails that it would be good to talk to each other and he made the call to me. It is quite amazing to me that David went out of his way to get me these Rapala lures from the "Land of Oz". It was great to talk with David and it wasn't all about the Lures. We talked about fishing in his homeland and here in the states and about my job as a cook and some of the "Wild" things that they do. Right now, I'd like to Thank, in no un-certain terms David S. for everything he did. The number of e-mails that I sent in the middle of the night asking questions concerning these lures. I hope to do more deals with him. This has turned out to be a great bunch of guys. This will be one of the center-pieces in my collection. Below first is a preview of the Rapala lures that I ordered. I will have scans of the lures themselves, when they get here from the "Land of Oz"
The biggest surprise! 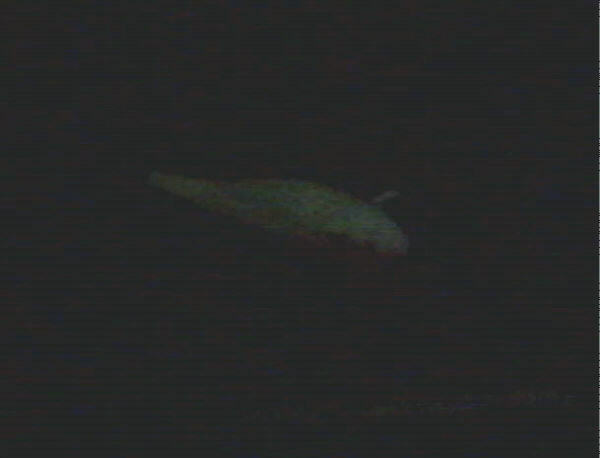 These Lures glow in the dark. The stripes stand out as the belly and other 'white flocked' areas seem to have a wierd glow. Below are several pic's of the Velvet Squid, One of which I tryed to get in the dark.